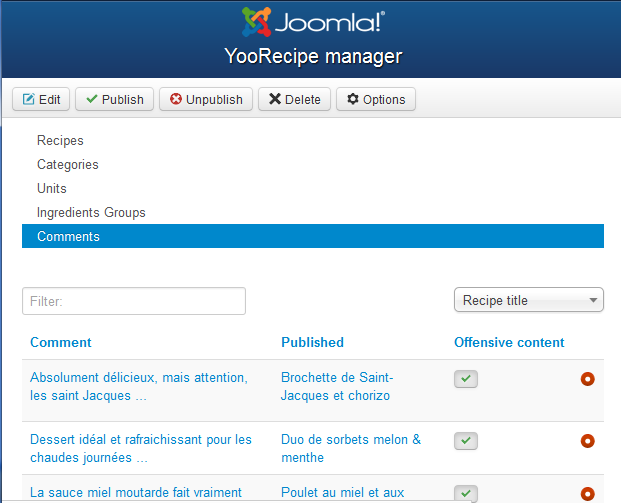 Captcha, comment permissions, recipe ratings, and fields to display. NS Recipe offers quite a bit of flexibility pertaining to comments. Turn On/Off Reviews in NS Recipe. Whether or not you trust submitted reviews. Users must be logged in to review. The maximum number of reviews to display on page. If this number is reached, your users will be able to click a button to see more reviews. 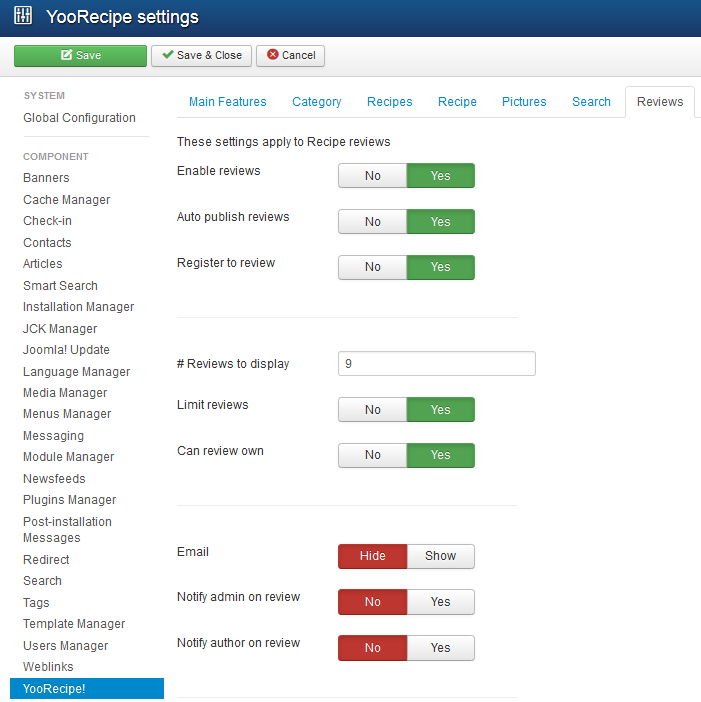 If set to "Yes," a user can review a given recipe only once. Whether or not email field is displayed in form. If set, sends an email to admin when comments are posted. If set, sends an email to recipe author when comments are posted. Info Comments can be managed and filtered by status from "Comments" back-end screen.